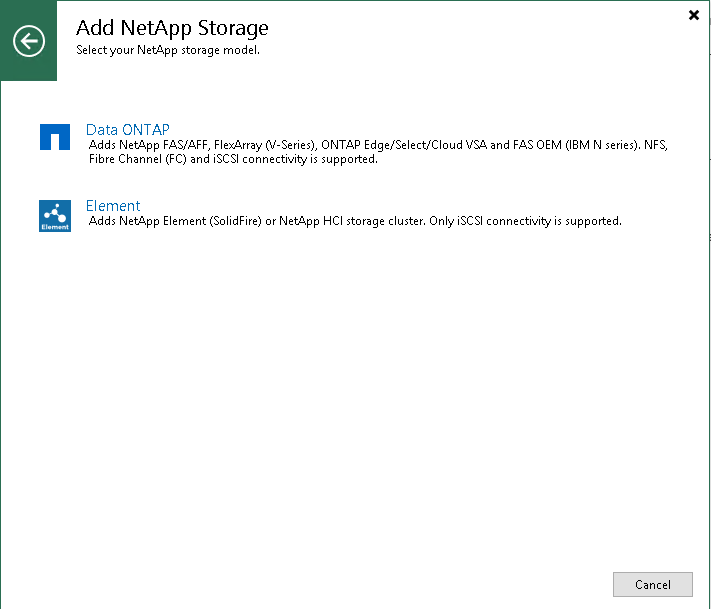 To launch the New NetApp Data ONTAP Storage wizard, perform the following steps. In the working area, click Add Storage. In the inventory pane, right-click the Storage Infrastructure node and select Add Storage. In the displayed window, select NetApp > Data ONTAP. In the inventory pane, right-click the necessary NetApp storage system and select Add Storage. Alternatively, you can select the necessary NetApp storage system in the inventory pane, right-click anywhere in the working area and select Add storage.